As a medical or university student, you probably have more debt than money. However having said that, I still believe donating money to worthy causes is still one of the best things you can do with your finances. I am quite skeptical about a lot of charities out there especially when it comes to their overall effectiveness and overhead. 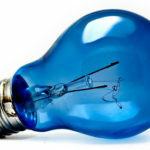 However, there are still lots of great organizations out there and I would like use this post to promote some of my favorite and most effective organizations. If you have wanted to donate to help change the world for a while, please consider one of the following below. As always, if you want to find out more about certain organizations, websites like www.charitynavigator.org/ or http://www.givewell.net/ will help you rate and determine how well organizations measure up. So in hoping to help make the world a better place, I encourage all my readers to donate to one of these great organizations, or just donate. Because although your contribution seems insignificant, every little bit counts and if enough people believe that they can make a difference, collectively we will make a difference. www.Kiva.org is one of many micro-finance organizations. If you haven’t heard of micro-finance before, it is the provision of financial services including loans and credit to people with low incomes. The eventual aim is to provide the initial capital for these populations to eventually break free from poverty. 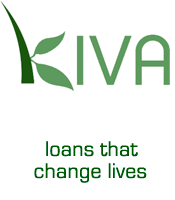 Kiva is linked to many Field Partner organizations around the world who help approve entrepreneurs for loans. When you donate to Kiva, you lend money to these people (often groups) to help fund their start-ups. Over time, these entrepreneurs repay their loans to YOU! Eventually you can decide if you want to withdraw these funds or re-lend to other entrepreneurs. I have been a huge fan of micro-finance ever I read about Grameen Bank founder Muhammad Yunus (Nobel Peace Prize Recipient 2006) and his book “Banker to the Poor”. They are amongst the first and front line response to medical emergencies and humanitarian relief all across the world and their organizational effectiveness is one of the best. I highly recommend reading MSF’s past president James Orbinski’s book “An Imperfect Offering” to get a better sense of the kind of work MSF is involved with. If you want to help out with the Haiti Earthquake Relief, there is no better organization than Partners In Health who have established an extensive health network in Haiti. They are currently running a campaign called “Stand With Haiti” so please consider donating! We all need food everyday. Perhaps you have tried fasting before or one of those “30 hour famines.” Despite the bad rep UN Organizations get sometimes, the World Food Programme is a legitimate program that provides essential nutrients to tens of millions of people every year. Furthermore, they are always in need of more funds, and money spent goes directly to saving lives! Remember that no amount of money spent in infrastructure, education, and even essential medicines will be helpful if the basic needs of food, water and shelter are not met. I’ll admit that this charity may not be as life saving as the other ones I have mentioned but that doesn’t make it any less of an admirable and well run organization. Founded by John Wood (an ex Microsoft executive), Room to Read is covered extensively in his book “Leaving Microsoft to Change the World” is an inspirational read about how we can all make a positive impact if we put our hearts and mind to it. Starting after a trip to Nepal, where he saw a school with an empty Library, John Wood set out to raise enough funds to build a library. And after that first school, Room to Read has expanded into nine countries while building hundreds of schools and libraries. I have personally donated to all these causes and have no links affiliated with them. Although my reasons to donate to many of them can be linked to personal stories, books or articles I read, I believe that everyone should have worthy causes they are willing to support. There are still so many other organizations out there doing importing work in underprivileged areas that need financial support. So I encourage everyone, to start with just one subject they feel strongly about and learn about it and then support it. Whether it be an environmental or social justice cause, taking that first step and deciding to take an active role – instead of a passive spectator – is the an important and life changing step. It is in my best hopes that this post will encourage people to donate more. There are a lot of poorly run organizations out there and many reasons to be cynical about charity. But don’t let a few rotten apples spoil the good works of many people out there. Thanks for reading and I am looking forward to comments about what type of charities or causes you support!